We hold 51 preview runs each year. The next one is this Saturday at 7:00am. Never will be. Follow someone who looks like they know what they're doing. If you get lost, revel in the joy of bonus nature time. One clockwise "outer loop" is roughly 15k. Kinda. Sorta. 30k runners do two loops. 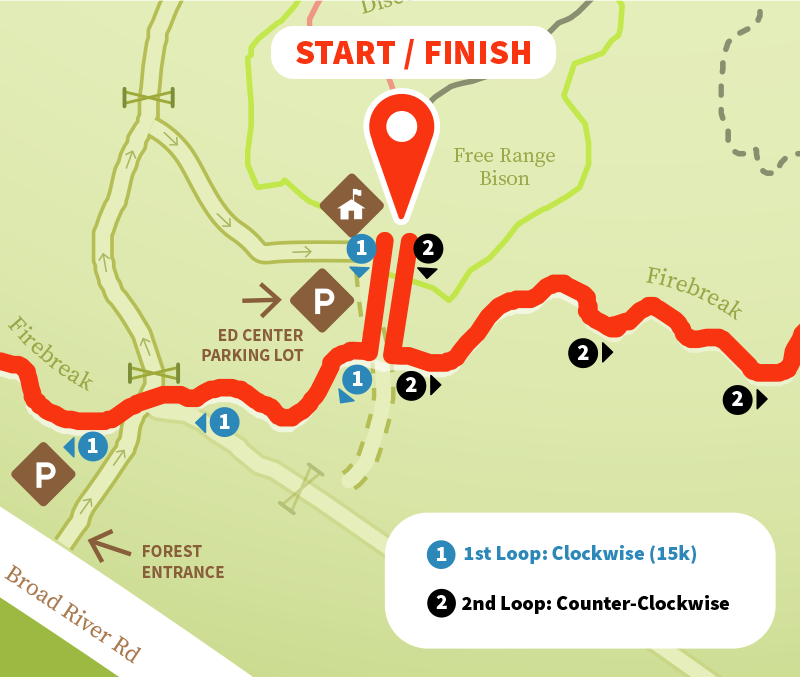 The second loop is run counter-clockwise (anti-clockwise for our British friends).